More Nick or Treat: Spooky Beavers | The Angry Beavers | #NickOrTreat | The Splat! More Nick: Nickelodeon UK Takes Fans Back To The '90s With The Launch Of "The Splat" Website! More Nick: Nickelodeon Latinoamérica Set To Premiere More Than 650 Episodes Of New And Returning Series In 2017! Follow NickALive! on Twitter, Tumblr, Google+, via RSS, on Instagram, and/or Facebook for the latest Halloween on Nickelodeon Latin America and Nickelodeon's Ultimate Halloween Haunted House News and Highlights! More #NickOrTreat: Cat Attack | CatDog | Fishing For Trouble | The Splat! Watch more SpongeBob SquarePants on Nickelodeon and NickToons, and visit nick.co.uk/halloween for more Halloween treats! More Nick: Jack and Kira's Spooktacular Halloween Hangout Video Playlist | Nickelodeon UK! Follow NickALive! on Twitter, Tumblr, Google+, via RSS, on Instagram, and/or Facebook for all the latest Halloween on Nickelodeon UK, Nicktoons UK and SpongeBob SquarePants News and Highlights! More Nick or Treat: Jack and Kira's Spooktacular Halloween Hangout Video Playlist | Nickelodeon UK! Follow NickALive! on Twitter, Tumblr, Google+, via RSS, on Instagram, and/or Facebook for all the latest Halloween on Nickelodeon UK and The Thundermans News and Highlights! Elke zondagochtend om 9.00 is Nick In Trouble op Nickelodeon Nederland! Meer Nick: Nick in Trouble | Live Stream (2) | Nickelodeon NL & BE! Follow NickALive! on Twitter, Tumblr, Google+, via RSS, on Instagram, and/or Facebook for the latest Nickelodeon Netherlands and Nick in Trouble News and Highlights! More Nick: Nickelodeon Italy To Premiere Brand-New Episodes Of "Henry Danger" From Monday 7th November 2016! NEW YORK--(BUSINESS WIRE)--The Board of Directors of Viacom Inc. (NASDAQ: VIAB, VIA) announced today the appointment of Robert (“Bob”) Bakish as Acting President and Chief Executive Officer, effective November 15. He will succeed Tom Dooley, who, as previously announced, will be leaving the Company. Mr. Bakish, who has successfully built Viacom’s international business over the past 10 years, will lead efforts to strengthen Viacom going forward. He will be responsible for accelerating the growth of Viacom’s industry-leading networks and reinvigorating Viacom’s brands. He will focus on investing in and developing new content, expanding distribution and pursuing strategic growth opportunities in Viacom’s core businesses. Mr. Bakish is also being appointed to the new role of President and Chief Executive Officer of the Viacom Global Entertainment Group. This new business unit combines Viacom’s International Media Networks division with the Company’s Music and Entertainment Group, which houses some of the Company’s most iconic brands including MTV, Comedy Central, VH1, Spike and Logo. In addition, TV Land and CMT will join the Global Entertainment Group portfolio under Mr. Bakish. 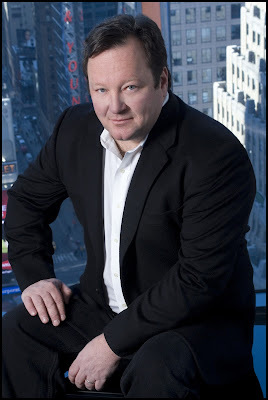 Mr. Bakish joined Viacom in 1997 and has held leadership positions throughout the organization, most recently serving as President and CEO of Viacom International Media Networks (VIMN), and its predecessor company MTV Networks International, since 2007. In this role, Mr. Bakish was responsible for all of Viacom’s media networks and related businesses outside the United States. Under his leadership, the company’s international business has built an unmatched global presence, with Viacom’s more than 200 TV channels reaching a cumulative 3.9 billion subscribers, and international revenue doubling during his tenure. Bob Bakish has been President and CEO of Viacom International Media Networks, and its predecessor company MTV Networks International, since 2007, with oversight of all of Viacom’s media networks and related businesses outside the U.S. In this role, he has driven the development of its international portfolio of core TV brands, with MTV and Nickelodeon being joined by Comedy Central, Paramount Channel, BET, Spike and Nick Jr. on pay and free TV platforms worldwide. In addition, Bakish has overseen the creation and growth of the company’s Viacom18 Indian joint venture, which includes the Colors general entertainment networks, as well as the acquisition of Channel 5 in the U.K. Under Bakish, the company has consistently grown profitability while expanding its TV, online and geographic footprint. Viacom’s 200 plus TV channels now reach approximately 3.9 billion cumulative television subscribers across more than 180 countries and broadcast in more than 40 languages. Bakish has also overseen the transition from TV to multiplatform distribution, with VIMN significantly growing online engagement with its video content, having launched a range of cutting edge digital properties including the Viacom Play Plex suite of mobile streaming apps that give on-demand access to the best TV content from its brands, all while building its branded presence on 3rd party video-on-demand and social media platforms, with an estimated 850 million fans and followers worldwide. Bakish’s growth strategy for VIMN has also involved substantially increasing the amount of original programming produced by Viacom internationally, driven in part by the recently opened Viacom International Studios in Miami, and Channel 5 Productions in the UK. In addition, he has expanded the off-screen presence of VIMN's brands through live events, stores, theme parks and hotels. Bakish has delivered significant growth in some of the world’s most valuable media markets including established markets like the U.K., Italy and Spain, as well as higher growth markets such as India, Mexico, Brazil, China, Russia and Africa. Previously, Mr. Bakish was President, MTV Networks International, running MTVN’s operations outside the U.S. He previously served as EVP, Operations and Viacom Enterprises, and prior to that as EVP and Chief Operating Officer, MTV Networks Advertising Sales. Prior to joining MTV Networks, Mr. Bakish was SVP, Planning, Development and Technology at Viacom. Before joining Viacom in February 1997, Mr. Bakish was a partner with Booz Allen & Hamilton in its Media and Entertainment practice. Mr. Bakish received an M.B.A. from the Columbia Business School of in 1989 and a B.S. in Operations Research from Columbia's School of Engineering and Applied Science in 1985. Viacom is home to premier global media brands that create compelling television programs, motion pictures, short-form content, apps, games, consumer products, social media experiences, and other entertainment content for audiences in more than 180 countries. Viacom's media networks, including Nickelodeon, Comedy Central, MTV, VH1, Spike, BET, CMT, TV Land, Nick at Nite, Nick Jr., Channel 5 (UK), Logo, Nicktoons, TeenNick and Paramount Channel, reach over 3.9 billion cumulative television subscribers worldwide. Paramount Pictures is a major global producer and distributor of filmed entertainment. This news release contains both historical and forward-looking statements. All statements that are not statements of historical fact are, or may be deemed to be, forward-looking statements. Forward-looking statements reflect our current expectations concerning future results, objectives, plans and goals, and involve known and unknown risks, uncertainties and other factors that are difficult to predict and which may cause future results, performance or achievements to differ. These risks, uncertainties and other factors include, among others: the effect of uncertainty stemming from ongoing transitions involving our board of directors and management and related changes in strategy, including a potential business combination with CBS Corporation; the public acceptance of our brands, programs, motion pictures and other entertainment content on the various platforms on which they are distributed; the impact of inadequate audience measurement on our program ratings and advertising and affiliate revenues; technological developments and their effect in our markets and on consumer behavior; competition for content, audiences, advertising and distribution; the impact of piracy; economic fluctuations in advertising and retail markets, and economic conditions generally; fluctuations in our results due to the timing, mix, number and availability of our motion pictures and other programming; the potential for loss of carriage or other reduction in the distribution of our content; changes in the Federal communications or other laws and regulations; evolving cybersecurity and similar risks; other domestic and global economic, business, competitive and/or regulatory factors affecting our businesses generally; and other factors described in our news releases and filings with the Securities and Exchange Commission, including but not limited to our 2016 Annual Report on Form 10-K and reports on Form 10-Q and Form 8-K. The forward-looking statements included in this document are made only as of the date of this document, and we do not have any obligation to publicly update any forward-looking statements to reflect subsequent events or circumstances. If applicable, reconciliations for any non-GAAP financial information contained in this news release are included in this news release or available on our website at http://www.viacom.com. Nickelodeon Latin America (Latinoamérica) recently reaffirmed its commitment to continue to bring laughter and fun to the whole family with brand-new shows, including two all-new local productions, and brand-new children's activities during their Nickelodeon Upfront 2017 presentation earlier this month! * Nickelodeon Latinoamérica will continue to premiere more brand-new episodes of local productions Food Hunters and Yo Soy Franky throughout the remaining months of 2016. - Heidi, Bienvenida a Casa, a brand-new live-action teen series inspired by the 1880 novel Heidi by Johanna Spyri. Heidi, Bienvenida a Casa stars Chiara Francia (Patito Feo, Chica Vampiro) and tells the story of a young girl full of charm who leaves her mountain home for the city. The series invites viewers to experience the fantasy world of Heidi in a modern day setting. The series is full of humor and songs and takes place in a colorful aesthetic and cinematic setting that creates a magical universe. The 60×45-minute show, produced entirely in Argentina, is created by Argentinian author Marcela Citterio. The series is a co-production between Mondo TV subsidiary Mondo TV Iberoamerica and Javier Francia of Alianzas Producciones. Heidi, Bienvenida a Casa is slated to debut on Nick LatAm during early 2017. * Nickelodeon Latinoamérica will also premiere 650 brand-new episodes of hit Nickelodeon shows throughout 2017, including School of Rock, Ride, Pig Goat Banana Cricket (Cerdo Cabra Banana Grillo) and Pinky Malinky, as well as new seasons of Henry Danger, Game Shakers, The Thundermans, SpongeBob SquarePants (Bob Esponja) and The Loud House. * Nick Jr. Latinoamérica will debut two brand-new preschool series in 2017: Rusty Rivets (26 episodes), which follows the animated adventures of Rusty as he invents his way out of jams by repurposing parts and objects into the wildest, coolest contraptions ever, and Abby Hatcher Monster Catcher, which follows a top-notch monster-catcher who helps friends and monsters solve their problems. Both series are created by Spin Master Entertainment (PAW Patrol). * Nick Jr. Latinoamérica will also premiere brand-new episodes of current series, including: PAW Patrol, Shimmer & Shine, and Blaze y los Monster Machines, among many others throughout 2017. * Nickelodeon will debut brand-new multi-platform short-form series online at mundonick.com and on the multi award--winning Nick Play app. * Additionally, Nickelodeon Latinoamérica also confirmed that Nickelodeon Kids' Choice Awards will return for the 2017 programming season! London, 31st October, 2016 – Nick.co.uk will take fans back to the ‘90s with today’s launch of The Splat. Fans of shows as Kenan & Kel, Ren & Stimpy, and Hey Arnold!, are set for a nostalgic treat as The Splat hosts clips, galleries and quizzes dedicated to the hit Nickelodeon series of the 90’s. Celebrating the characters and shows that define a generation, The Splat website showcases clips from shows including The Angry Beavers, CatDog, Hey Arnold!, Clarissa Explains It All, Kenan & Kel, Ren & Stimpy, Rocko’s Modern Life, Rugrats, The Wild Thornberrys and As Told By Ginger. The Splat experience continues with a Nickelodeon 90’s quiz, testing Nickelodeon fans on their show knowledge, while The Splat blog offers an introduction to the iconic featured series with posts covering the background of shows like Hey Arnold! and Kenan & Kel. The Splat galleries display pictures of popular show characters such as Angelica (Rugrats), Eliza (The Wild Thornberrys), Norbert Foster (The Angry Beavers) and many more. The launch of The Splat on Nick.co.uk follows the announcement of a new Hey Arnold! TV movie set to air on Nickelodeon in 2017. Clothing featuring iconic Nickelodeon characters and shows are also available to purchase at UK retailers and The Nickelodeon Store. Available in over 13 million homes, Nickelodeon is the place where kids rule and features top shows such as Nickelodeon’s Kids’ Choice Awards, Bella and the Bulldogs, Game Shakers, SpongeBob SquarePants and Sam & Cat. Launched in 1993, Nickelodeon brings hit international and locally-produced entertainment content to audiences in the UK and Ireland. 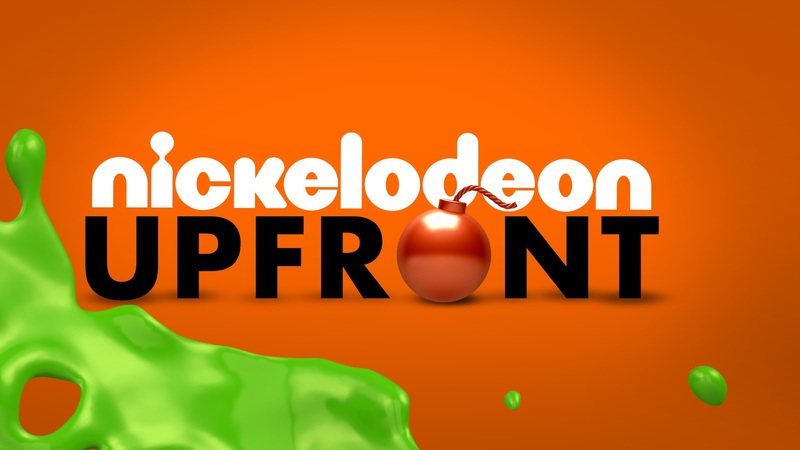 Viewers can also watch Nickelodeon in high definition through Nickelodeon HD and have the opportunity to catch up with the schedule through Nickelodeon +1. 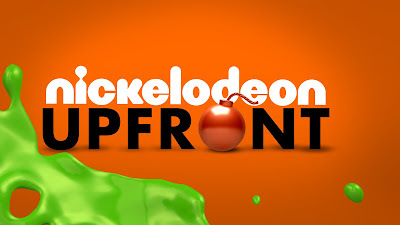 Exclusive games, behind the scenes clips, show information and more are available on nick.co.uk and Nick Play where viewers can find exclusive content updated daily. Viewers can watch Nickelodeon on Sky, Virgin, TalkTalk, BT Vision, YouView, VUTV on Freeview and on UPC in the Republic of Ireland. The Nickelodeon Network brings the best in kids’ content to the UK and Ireland with Nickelodeon channels available in over 13 million cable and satellite homes. Having launched in 1993 Nickelodeon UK comprises seven dedicated entertainment channels for kids aged 4-15 and their families, and is a joint venture between Viacom International Media Networks and BSkyB. Follow NickALive! on Twitter, Tumblr, Google+, via RSS, on Instagram, and/or Facebook for the latest Nickelodeon UK and The Splat UK News and Highlights! Nickelodeon USA To Premiere "Paradise Run" Season Two On Monday 14th November 2016; To Feature Stars From "The Thundermans" And "Nicky, Ricky, Dicky & Dawn"
Screener TV Listings is reporting the exciting news that Nickelodeon USA will start to premiere and show the brand-new second season of the networks hit action-packed adventure game show series Paradise Run weekdays at 7:00pm ET/PT from Monday 14th November 2016! To celebrate the debut of Paradise Run season two, the first week of brand-new episodes will feature popular Nickelodeon stars from Nick's hit live-action original comedy series The Thundermans and Nicky, Ricky, Dicky & Dawn! Monday 14th November 2016 - It's All About the Thunder-man! : "The Thundermans" cast members, Kira Kosarin, Diego Velazquez and Audrey Whitby, team up with their fans to hurl fish and zip-line to a wedding; Jack Griffo makes a special appearance. Tuesday 15th November 2016 - NRDD Run for Charity: "Nicky, Ricky, Dicky & Dawn" cast members, Lizzy Greene, Mace Coronel and Kyla-Drew Simmons, take on a packed minivan, party pedal boats and a giant ukulele. Wednesday 16th November 2016 - Thundermans in Paradise: Kira Kosarin, Addison Riecke and Ryan Newman pair up with their biggest fans to zip into a 1970s dance party with an appearance from Jack Griffo. Hosted by Daniella Monet (Victorious, the live-action Fairly OddParents movies, AwesomenessTV), Paradise Run puts teamwork to the test in a beautiful tropical setting. Each week, contestants will team up into three teams of two and throw down for the ultimate grand prize on the ultimate vacation challenge! The teams will be faced with a series of challenges that will put their physical, mental and teamwork skills to the test. Who will finish first, and who will watch their tropical dreams sail off into the sunset? Ready, set, run! 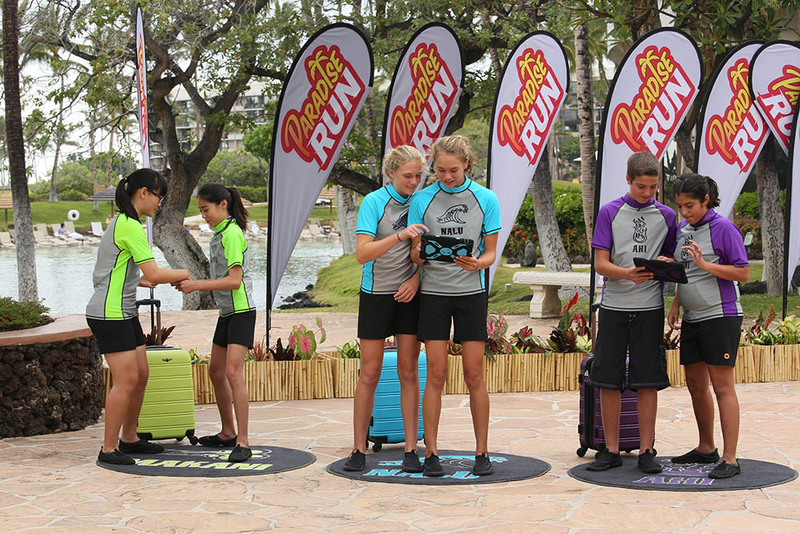 Fans can catch up on the first season of Paradise Run here on nick.com/paradise! Paradise Run is created by Stone & Company Entertainment and is produced by Jason Madoch. Paradise Run season one was filmed at Hilton Waikoloa Village in Hawaii during Summer 2015. The shows graphics package is created by Coat of Arms. H/T: ToonZone Forums member kanc. Scene from CatDog episode "Fishing for Trouble". More #NickOrTreat: CatDog Becomes a Creepy Clown | The Splat! Watch brand-new episodes of Power Rangers Dino Super Charge Saturdays at 12:00pm ET/PT, only on Nickelodeon USA! More Power Rangers: Spirit Halloween Transforms Children's Hospitals for 10th Annual "Spirit of Children Week"! | Power Rangers Dino Super Charge Halloween Safety Tips! More Nick: NickGamer Tips | 'Super Brawl World' Official Trailer | Nickelodeon! More Nick: Nickelodeon UK To Premiere "Ride" On Monday 7th November 2016 On Nick At Nite! Finde heraus, wie man für Halloween in diesem Jahr gruseliges Marshmallows macht! More Nick Or Treat Ideas: Raphael Face Painting | Harvey Beaks Face Painting | SpongeBob SquarePants Face Painting | Casey Jones Face Painting | Halloween Pranks | Nicktoons Pumpkin Carving | DIY Pumpkin Nails. Watch more Bella and The Bulldogs on Nickelodeon and TeenNick! Meer Nick: Nick in Trouble | Live Stream (1) | Nickelodeon NL & BE! Catch brand-new episodes of The Loud House, including the debut of season two, this November, only on Nick USA! Follow NickALive! on Twitter, Tumblr, Google+, via RSS, on Instagram, and/or Facebook for the latest Halloween on Nickelodeon and The Loud House News and Highlights! "Don't touch the green button"
Scene from Rocko's Modern Life episode "Power Trip". More #NickOrTreat: Rugrats Horror Story | The Splat! Catch the brand-new hour-long Henry Danger special, "Fast & Dangerous" ("Hour of Power"), premiering Friday 11th November 2016 at 7:00pm ET/PT, only on Nickelodeon USA! More Nick: #VitaDaNick | Alberico vs Irama: la terza sfida | Nickelodeon Italia! Power Rangers - First 10 Power Rangers Intro Themes! Additional source: Evolution of Power Rangers. Check out this fangtastic selection of spooktacular clips from Nickelodeon UK & Ireland's Halloween Hangout with The Thundermans stars Jack Griffo and Kira Kosarin! Get ready for heart-stopping, pulse pounding, scary good action with Nicktoons Creepin' Weekend! Catch creeptastic specials of Making Fiends, Danny Phantom and Invader ZIM all this Hallo-weekend between 12pm-5pm ET/PT! It's like the best Halloween party ever, except with flying evil Chicken wings.. oh, wait - it is the best Halloween party ever! 12:00pm - Making Fiends - Charlotte's First Day; A Fiendish Friend; Super Evil: Charlotte goes to her first day of school in Clamburg; Charlotte wants to play pretend with Vendetta; Charlotte takes a quiz in Vendetta's magazine. 12:30pm - Making Fiends - Vegetables; Toupee; Mama Vendetta: Charlotte brings vegetables to school; Vendetta gives Mr. Milk a fiend toupee; Vendetta creates exploding pigeon fiends. 1:00pm - Danny Phantom - Mystery Meat: A ghostly lunch lady seeks revenge when the school cafeteria serves only vegetarian meals. 1:30pm - Danny Phantom - Bitter Reunions: Danny meets the evil Vlad Plasmius a childhood rival of his father who now has ghostly powers. 2:00pm - Danny Phantom - Prisoners of Love: Danny accidentally knocks his father's anniversary gift into the ghost zone. 2:30pm - Danny Phantom - My Brother's Keeper: Jazz thinks Danny is depressed and decides to sign him up for therapy. 3:00pm - Invader Zim - The Nightmare Begins: Zim and Gir plot the destruction of Earth. 3:30pm - Invader Zim - Attack of the Saucer Morons; The Wettening: Zim crash-lands in a field; it is a rainy day, and Zim fears water. 4:00pm - Invader Zim - Planet Jackers; The Rise of Zitboy: Zim rescues Earth from planet-jackers; Zim disguises a pimple. 4:30pm - Invader Zim - Invasion of the Idiot Dog Brain; Bad, Bad Rubber Piggy Piggy: Gir takes the house and Zim for a wild ride; a time machine alters Dib's past. 12:00pm - Making Fiends - Shrinking Charlotte; Parents; No Singing: Vendetta creates a shrinking slug; Vendetta creates substitute parents for Charlotte; Vendetta grows tired of Charlotte's constant singing. 12:30pm - Making Fiends - Puppies, Puppies, Puppies; Shorts 1; Marvin the Middle Manager: Vendetta makes a vicious guard dog to protect her favorite places from Charlotte; bored with school, Vendetta decides to leave, putting Marvin in charge. 1:00pm - Danny Phantom - Shades of Gray: After ghosts ruin a popular coed's social life, she dedicates herself to hunting them. 1:30pm - Danny Phantom - Public Enemies: Amity Park learns about the ghost kid and Danny becomes public enemy number one. 2:00pm - Danny Phantom - Maternal Instincts: Danny and his mother attend a weekend mother/son science seminar. 2:30pm - Danny Phantom - Million Dollar Ghost: Vlad Masters steals Jack Fenton's portal and creates a distraction by offering a bounty to eliminate Danny. 3:00pm - Invader Zim - Door to Door; FBI Warning of Doom: Zim tries to sell the most candy in a Skool drive; Zim meets a mall security guard. 3:30pm - Invader Zim - Bolognius Maximus; Game Slave 2: Zim introduces bologna DNA into Dib, causing him to become a walking bologna boy; Gaz tries to buy the last Game Slave 2. 4:00pm - Invader Zim - Mysterious Mysteries; Future Dib: Zim, Dib, Gir, and Gaz appear on Dib's favorite show; Dib meets a future version of himself. 4:30pm - Invader Zim - Hobo 13; Walk for Your Lives: The Tallest dispatch ZIM to Hobo 13 for military training; after creating a slowly expanding explosion, ZIM tries to get rid of it. 1:00pm - Making Fiends - Parentnapped; Smash; New Best Friend: Charlotte takes Vendetta's parents on a picnic; Vendetta becomes fused to Charlotte; Vendetta stays with Marion while her house is tented for termites. 1:30pm - Making Fiends - Tornado; Shorts 2; Pony: Vendetta creates a tornado fiend that picks up Charlotte's house; Charlotte and Vendetta share a dream; Charlotte begs Vendetta to make her a pony. 2:00pm - Danny Phantom - Memory Blank: After an argument, Sam wishes that she had never met Danny. 2:30pm - Danny Phantom - Secret Weapons: Danny tries to stop Skulker from looting while dealing with his unwanted sidekick, Jazz. 3:00pm - Invader Zim - Megadoomer; Lice: Zim gets a robot from Irk; lice infest the Skool. 3:30pm - Invader Zim - Gir's Gone Crazy and Stuff; Dib's Wonderful Life of Doom: Dib's life takes a mysterious turn for the better; the tables get turned when ZIM makes GIR a little too smart. 4:00pm - Invader Zim - Tak: The Hideous New Girl: ZIM thinks the new girl in school has a crush on him, but he's in for a big surprise. 4:30pm - Invader Zim - The Girl Who Cried Gnome; Dibship Rising: A media circus erupts after a Girly Ranger gets stuck in a hole in ZIM's front yard; Dib downloads his personality into Tak's spaceship. Plus, don't forget to tune into the hit Nickelodeon TV movie Cry Baby Lane (2000), Monday 31st October 2016 at 1:30am, only on The Splat! H/T: ToonZone Forums member JTOONSAnimation; Schedule source: Screener TV Listings. Follow NickALive! on Twitter, Tumblr, Google+, via RSS, on Instagram, and/or Facebook for the latest Halloween on Nickelodeon and Nicktoons News and Highlights! More Nick or Treat: CatDog Becomes a Creepy Clown | #NickOrTreat | The Splat! More Nick or Treat: Que Divertido! Especial Halloween: Abóboras de Halloween | Nick or Treat | Nickelodeon Portugal! Follow NickALive! on Twitter, Tumblr, Google+, via RSS, on Instagram, and/or Facebook for the latest Halloween on Nickelodeon Portugal News and Highlights! Nickelodeon USA will announce the results of the "Kids' Vote" live on Saturday, Nov. 5, during an evening of special programming featuring brand-new fun, “election”-themed episodes of Nick's hit live-action series Henry Danger, Game Shakers, School of Rock and Nicky, Ricky, Dicky & Dawn. The night’s lineup will be hosted by Riele Downs (Henry Danger), Benjamin Flores Jr. (Game Shakers), Ricardo Hurtado (School of Rock) and Lizzy Greene (Nicky, Ricky, Dicky & Dawn), who will be on hand encouraging kids to get involved and cast their votes. At approximately 9:35 p.m., the Nick stars will reveal who kids nationwide have selected as their choice for the next President of the United States! Voting results will air across Nickelodeon, TeenNick, Nicktoons and NickMusic. More Nick: Nickelodeon Launches Kids Pick the President "Kids' Vote"! Follow NickALive! on Twitter, Tumblr, Google+, via RSS, on Instagram, and/or Facebook for the latest Nickelodeon Kids Pick the President News and Highlights! More Nick: #VitaDaNick | Alberico vs Irama: la seconda sfida | Nickelodeon Italia! Follow NickALive! on Twitter, Tumblr, Google+, via RSS, on Instagram, and/or Facebook for the latest Nickelodeon Italy and Game Shakers News and Highlights! Watch more The Loud House, only on Nickelodeon and Nicktoons! More Nick Or Treat: The Loud House | How to Prank, by Luan Loud | Nickelodeon! Miraculous Ladybug | Angie Nasca & Lindalee Rose | Meet them at Stan Lee's Comic Con!!! 10/30/2016 at LA Convention Center Room 408. More Nick: Nickelodeon To Host Super "Henry Danger" And "Miraculous Ladybug" Panel At Stan Lee's Los Angeles Comic Con On Sunday 30th October 2016! Veja a mensagem hiper fofa que as meninas da Fifth Harmony mandaram aos seus fãs! Check out the full list of winners of Nickelodeon Brasil's Meus Prêmios Nick 2016 here on NickALive!. There are currently fifty million kids under the age of 11 living in the US. Commonly referred to as Generation Z, this cohort is physically, emotionally and technologically different from all of its predecessors - and a new Nickelodeon white paper has the data to back that observation up, reports Kidscreen. 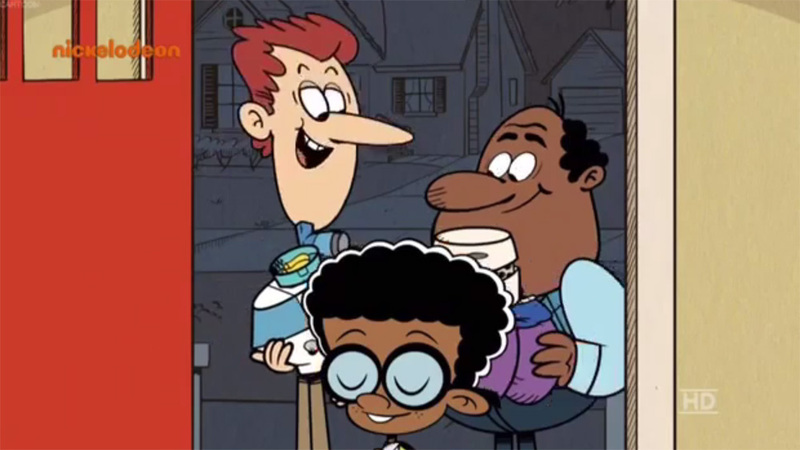 Clyde McBride and his parents, Harold and Howard, from The Loud House. Poking holes in Gen Z's common depiction as a self-absorbed, introverted group, key findings in the network's new Story of Me 2 study include the fact that children consider digital friends, whom they have never met, as being part of their social circles. In fact, kids have never met a whopping 60% of their Facebook friends IRL (in real life). Indeed, friendliness is strong trait of today's youth. According to Nickelodeon's research, 93% of kids say they would like to have a friend from a different group, and 81% would like to have a friend with a different religious affiliation. This mentality has also contributed to their overall feeling that social causes are important and they should do good for others. The study, a follow-up to the inaugural November 2013 Story of Me initiative that blends Nickelodeon quantitative and qualitative data with third-party public studies, points to a more tolerant generation of kids. "The biggest differences between 2013 and today is the whole notion of kids being inclusive and accepting of different people. Kids were once taught to be tolerant. Now it's almost part of who they are in terms of acceptance and inclusiveness," says Sujata Luther, Executive Vice President (EVP) of Consumer Insights at Nickelodeon. "That is definitely one of the biggest findings from the study. Children have a seamless authentic response to people in that they are color-agnostic." Perhaps it's because bi-racial children ages zero to 11 now represent nearly 17% of the US population. And by 2019, the majority of under-11s will be non-white. Additionally, 10% of kids are living with their grandparents, who play a significant role in supporting them emotionally and financially. In fact, 30% of boomer grandparents are funding their grandchildren's educations, vacations and after-school lessons. Furthermore, the study also indicates that 26% of kids today live with just one parent, and 7% live with co-habiting non-married parents. Traditional families also have different compositions from days' past. A full 30% of millennials are now parents, which has ushered in a sharp increase in stay-at-home dads (16% versus 10% 15 years ago). This generation of kids is also closer to their parents, who view their kids as their best friends and are greatly influenced by them, with 83% of parents saying kids should have a say in family decisions. Also, mom (78%) and dad (58%) are kids' top two chosen role models, with grandparents (26%), YouTube stars (19%) and teachers (18%) rounding out the top five. In terms of common stresses, kids worry most about school and getting good grades. Secondly, they focus on their parent's safety, parents losing their jobs and the family's financial situation. Additional concerns are self-focused around cyber popularity, appearance and bullying. Finally, school safety is a cause for anxiety and is a reflection of kids' awareness of safety issues in the world. "There is a porous bubble of security today. Kids are seeing war and terrorism and witnessing it as it happens, which is causing them to be stressed out," Luther says. "The internet plays a big part in gaining exposure. We see that as being a difference." Digitally speaking, 40% of three- to 11-year-olds own their own tablet, and 17% have their own smartphone. As kids grow older, there is a shift from content consumption to content creation. Eight- to 15-year-olds have embraced a "maker" mentality, and if something doesn't already exist, they will create it. This trait also contributes to kids' surprising interests in being entrepreneurs: 69% of those surveyed said, "I really want to start my own business someday." Perhaps making that happen will be the 48% of respondents who said they have done coding. So how is this generation affecting-and consuming-new forms of content? Luther says Nickelodeon is continuously shaping its shows and digital services to meet the changing face of its viewers. For one, original series The Loud House (pictured, which was just greenlit for a third season) features a bi-racial gay couple. And the main character in Nickelodeon's upcoming preschool series Sunny Day, set to debut in 2017, isn't only a hairdresser, she owns her salon, notes Luther. "We tell our marketing team that kids want to have a say and have a vote. We invite kids on our website to tell us what they want to see and then we embed that," Luther says. "Embracing differences and including the family (and not talking down to children) can be translated into content delivery and how we reach them." Follow NickALive! on Twitter, Tumblr, Google+, via RSS, on Instagram, and/or Facebook for the latest Nickelodeon Research News and Highlights! This advertisement feature was made in partnership with Nickelodeon and Heelys. Get your Heelys here: http://bit.ly/2dSVA92. Follow NickALive! on Twitter, Tumblr, Google+, via RSS, on Instagram, and/or Facebook for the latest Nickelodeon UK and Nickelodeon Land News and Highlights! More TMNT: Nicktoons UK To Premiere More Brand-New Episodes Of "Teenage Mutant Ninja Turtles" Season 4 From Saturday 5th November 2016! '90s Nick Kids who crave the iconic Nickelodeon shows of their childhood can rejoice - Nickelodeon UK & Ireland are throwing back to the '90s with the launch of a brand-new official The Splat website! It's the '90s all over again… Where life consisted of rollerblades, board games, cheese puffs and… Nickelodeon! Over here at Nick.co.uk we've gone full retro AND we're welcoming back the classics that got us where we are today, this is gonna be goooood! Angry Beavers, CatDog, Clarissa Explains It All, Hey Arnold, Kenan and Kel, Ren and Stimpy, Rocko's Modern Life, Rugrats, The Wild Thornberrys and… The Amanda Amanda Amanda Show! clips, quizzes and photo galleries. We'll also be adding more classic clips from shows like… Rocket power, As Told by Ginger, Invader Zim and Are You Afraid of the Dark! Sooo… Which show are you most excited to see?! YA BA DODEE SHABABA DADODEE… For those who can't understand Donnie, he wants to know in the comments below. *BANG* Court dismissed, bring in the dancing lobsters! Nick UK & Eire's official The Splat website, nick.co.uk/thesplat, is diving deep into Nickelodeon's rich archives to celebrate the characters and shows that are definitional to kids who grew up in the '90s! On Nickelodeon UK & Ireland's official The Splat website, also available on the official Nicktoons UK & Ireland website, fans can watch video clips from iconic Classic Nickelodeon shows, including Kenan & Kel, Rugrats, Hey Arnold!, Are You Afraid of the Dark?, CatDog, Angry Beavers, Clarissa Explains It All, All That, Hey Dude, Salute Your Shorts, Doug, and more, learn more about their favourite '90s Nickelodeon characters, view exclusive photo galleries, a "Which Nick 90s Show Do You Belong In?" quiz, and vote for their favourite 90s' Nick show! Nickelodeon will be adding more classic clips every week, so keep checking back for even more nostalgia! It is currently unknown whether Nickelodeon UK will launch a The Splat branded television block similar to Nickelodeon USA's version of The Splat. However, MTV Classic UK recently held a 90's takeover in May and June 2016, which featured episodes of retro Nick shows, including Kenan & Kel and Clarissa Explains It All, and used The Splat bumpers. Mattel Appointed Master Toy Licensee For "ALVINNN!!! and The Chipmunks"
Mattel has secured the master toy license for the hit CG-animated series ALVINNN!!! and The Chipmunks from Bagdasarian Productions, in collaboration with Technicolor Animation Productions! A full line of ALVINNN!!! and The Chipmunks toys, including role play, music items, articulated figures, playsets, R/C vehicles, plush and feature plush, will launch through a Toys "R" Us exclusive in the US this fall before rolling out nationwide, and in Latin America and Europe, in 2017. The deal was signed by PGS Entertainment, which reps ALVINNN!!! and the Chipmunks worldwide, save France (M6). Following successful launches on Nickelodeon's international channels (excluding Brazil) in 2015, the kidsnet bowed the first season of ALVINNN!!! in the US this past August, where it quickly became a top-rated program. The M6-commissioned series also airs in North America on TéléQuébec (French Canada) and Teletoon (English Canada). In Europe, broadcast partners include M6 (France), Super RTL (Germany), CSC/Pop (UK), Discovery/K2 (Italy), Neox (Spain), Sic (Portugal), RTBF/OufTivi (French Belgium), RTS (French Switzerland), RSI (Italian Switzerland), ORF (Austria), DR (Denmark), NRK (Norway), MTV3 (Finland), RUV (Iceland), Carousel (Russia), Plus Plus (Ukraine), Puls 2 (Poland), MTVA (Hungary), Kanal 2 (Estonia) and LRT (Lithuania). Additional international networks airing the show are TVNZ (New Zealand), SpaceToon (Middle East), Kidz (Turkey), Thai TV3 (Thailand), MNC TV (Indonesia), Mediacorp (Singapore) and Gloob (Brazil). Following new season orders from commissioning broadcasters, Bagdasarian Productions and Technicolor Animation Productions (TAP) greenlit production of seasons three and four of the hit children's series earlier this month. ALVINNN!!! and The Chipmunks is created, written and directed by Janice Karman, who co-owns the Chipmunks brand with her husband, Ross Bagdasarian. Both Karman and Bagdasarian lend their voices to the animated content and were behind the original TV series from the ’80s, as well as four newer, globally successful feature films. Follow NickALive! on Twitter, Tumblr, Google+, via RSS, on Instagram, and/or Facebook for all the latest Nickelodeon and ALVINNN!!! and The Chipmunks News and Highlights! NEW YORK--Oct. 28, 2016--Nickelodeon is letting kids’ voices be heard with today’s launch of its eighth Kids Pick the President “Kids’ Vote,” from Friday, Oct. 28 to Saturday, Nov. 5. Beginning today at 12 p.m. (all times ET), kids can visit Kidspickthepresident.com to cast their vote for Hillary Clinton, Donald Trump or Gary Johnson to be the next President of the United States. The “Kids’ Vote” results will be announced live on Saturday, Nov. 5, at approximately 9:35 p.m., during an evening of special programming featuring fun, “election”-themed episodes of Nick’s hit live-action series Henry Danger, Game Shakers, School of Rock and Nicky, Ricky, Dicky & Dawn. Beginning with the network’s inaugural “Kids’ Vote” in 1998, kids have correctly chosen the next U.S. president in advance of the national election six out of the last seven times. Nickelodeon’s “Kids’ Vote” is the cornerstone of the network’s Kids Pick the President cross-platform campaign, which is designed to keep kids informed on the issues they care about and let their voices be heard. Nickelodeon’s “election”-themed programming—featuring storylines ranging from a race for class president to a vote for a favorite snack—will include brand-new episodes of Henry Danger at 8 p.m.; Game Shakers at 8:30 p.m.; School of Rock at 9 p.m. and Nicky, Ricky, Dicky & Dawn at 9:30 p.m. The night’s lineup will be hosted by Riele Downs (Henry Danger), Benjamin Flores Jr. (Game Shakers), Ricardo Hurtado (School of Rock) and Lizzy Greene (Nicky, Ricky, Dicky & Dawn), who will be on hand encouraging kids to get involved and cast their votes. At approximately 9:35 p.m., the Nick stars will reveal who kids nationwide have selected as their choice for the next President of the United States. Voting results will air across Nickelodeon, TeenNick, Nicktoons and NickMusic. Kids can cast their vote on kidspickthepresident.com to choose who they would like to be the 45th President of the United States. One vote will be tabulated per household device. Nickelodeon, now in its 37th year, is the number-one entertainment brand for kids. It has built a diverse, global business by putting kids first in everything it does. The company includes television programming and production in the United States and around the world, plus consumer products, digital, recreation, books and feature films. Nickelodeon’s U.S. television network is seen in more than 90 million households and has been the number-one-rated basic cable network for 20 consecutive years. For more information or artwork, visit www.nickpress.com. Nickelodeon and all related titles, characters and logos are trademarks of Viacom Inc. (NASDAQ: VIA, VIAB).